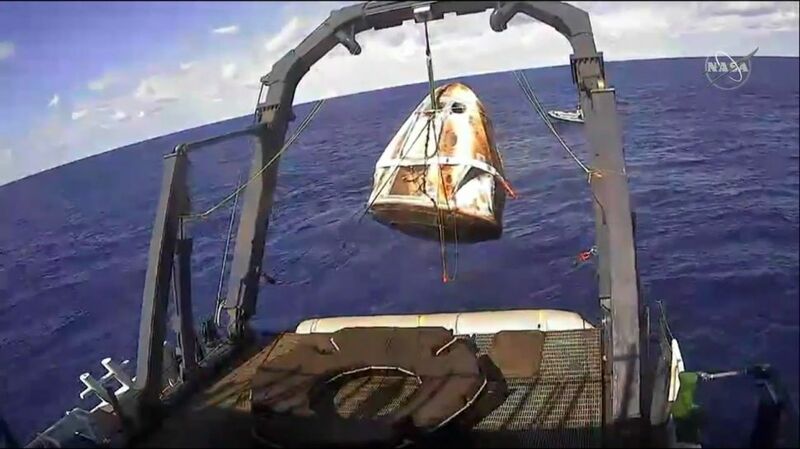 SpaceX successfully completed the first demonstration flight of the Crew Dragon Capsule on Friday, March 8th, when the vehicle returned to Earth after a visit to the International Space Station (ISS). As I reported in my previous space Sunday article, DM1 lifted-off from Launch Complex 39A at Kennedy Space Centre on March 2nd, rendezvousing with the ISS 27 hours later, when it successfully docked with the station. It remained at the station through until Friday, March 8th. At 07:30 GMT that morning the capsule and its service module detached from the space station and moved to its own orbit ready to make a re-entry into the denser atmosphere and a splashdown in the Atlantic. This phase of the mission was regarded by SpaceX as the most critical part of the flight, and the one presenting the most risk to the vehicle. While based on Cargo Dragon, the Crew Dragon is a very different vehicle; the parachute system and backshell are new, the DM1 flight being the first time they would be used operationally. 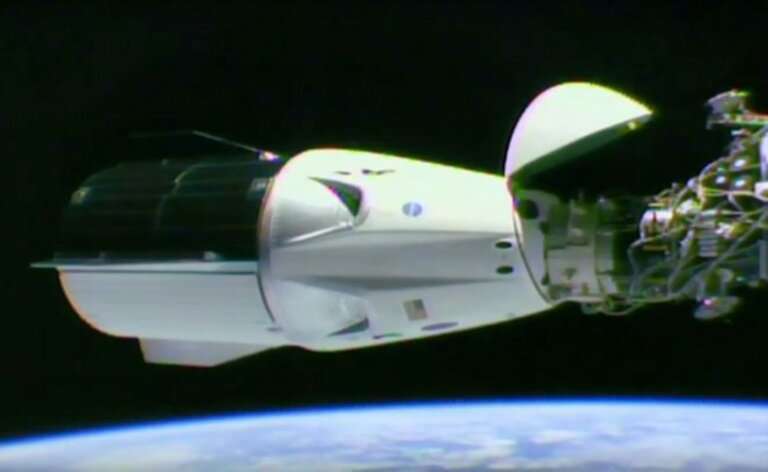 The Crew Dragon’s backshell, for example, is asymmetrical in order to accommodate the eight SuperDraco escape engines designed to get the capsule out of harm’s way in the event of a launch emergency, and which are not present in the Cargo Dragon. As SpaceX CEO commented ahead of the vehicle’s launch, this asymmetry could cause roll instability on re-entry, potentially resulting in vehicle loss. As it turned out, after moving well clear of the ISS and positioned on a track for its eventual splashdown, C201, now separated from its service module, fired its thrusters at 12:53 GMT for a 15-minute re-entry burn. Once through the seating heat of re-entry, the craft dropped into the denser atmosphere and passed the second of its final tests: deploying first its drogue parachute system and then the four main parachutes; in doing so, it recaptured the heyday of NASA’s Mercury, Gemini and Apollo capsules. At 13:45 GMT, C201 splashed down in the Atlantic, close to the waiting SpaceX recovery ships. Making the return aboard the capsule was the instrument-laden flight dummy “Ripley” and a small payload from the ISS. The plushy toy used as a zero-gee indicator on the vehicle’s ascent to orbit remained aboard the ISS, where it has become a celebrity. Named “Earthie” (or “Earthy”, it’s not actually clear), the plushy has been treated to tours of the ISS, has been featured in photocalls and videos, and become something of a station mascot. 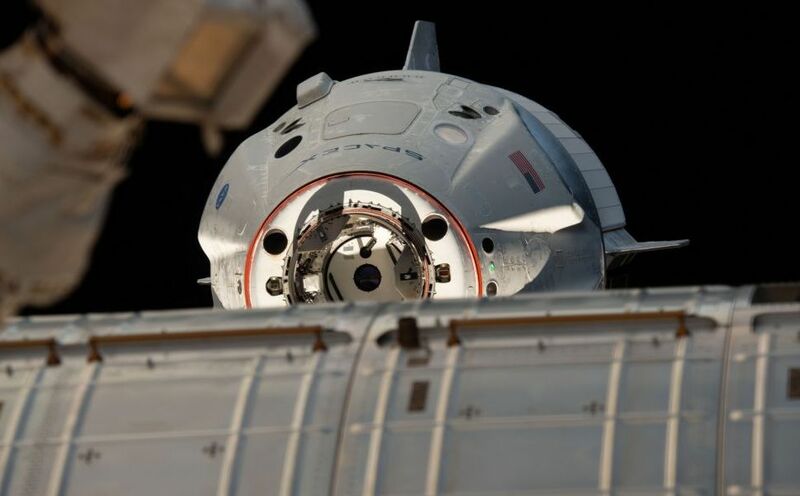 It will be remaining on the ISS until the first crewed flight of the Dragon vehicle docks with the ISS later this year. Fifty years after humans landed on the moon for the first time, America has driven a golden spike on the trail to new space exploration feat. It won’t be long before our astronaut colleagues are aboard Crew Dragon and Boeing’s Starliner vehicles, and we can’t wait. However, even before splashdown, NASA was indicating plans to start flying crew aboard the Crew Dragon might be subject to delay. Currently, a further flight of C201 is due in June. Again, uncrewed, it is intended to test the launch abort system. The first crewed flight is currently scheduled to follow that flight, some time in July. It will carry two astronauts up to the ISS where they will remain for several weeks. However, comments from NASA’s Aerospace Safety Advisory Panel seem to suggest the crewed demonstration flights of both Crew Dragon and Boeing’s CST-100. There’s a lot of forward work to complete on both Crew Dragon and Boeing’s CST-100 Starliner vehicles. We’re not quite ready to put humans on either vehicle yet. These doubts notwithstanding, Boeing and NASA have indicated that the first uncrewed flight of the CST-100 Starliner could take place in April. Referred to as Orbital Flight Test (OFT), this mission will lift off from Florida’s Cape Canaveral Air Force Station atop a United Launch Alliance (ULA) Atlas V rocket, and follow a similar profile to that of SpaceX DM1. We are reassessing those dates to see if that date will work, based on making sure we have the vehicle ready, and ready to go fly safely. We are assessing that date. Our launch readiness date is still 2020, and we’re doing everything within our power to make sure that we support that. 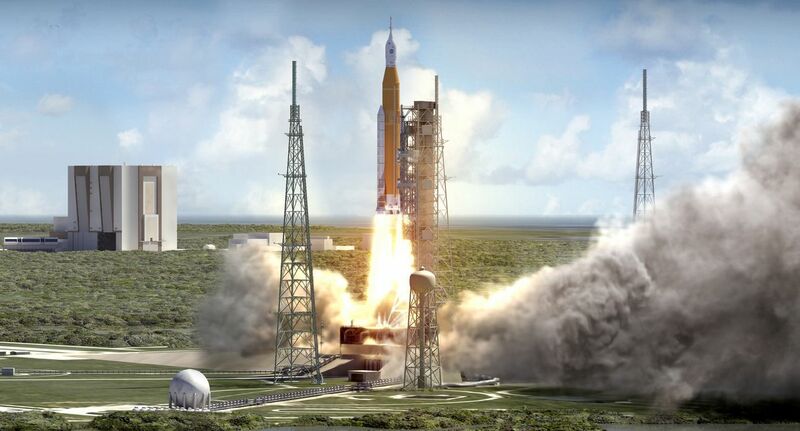 With this words, the director of NASA’s Marshall Space Flight Centre, responsible for overseeing the development and construction of NASA new Space Launch System super booster, suggested the maiden flight of the rocket could be subject to further delay. Singer did not give specifics on what might cause the delay following the statement, but in October 2018, NASA’s Office of Inspector General was sharply critical of both NASA and Boeing, the prime contractor for the rocket’s massive core stage, for problems with that element. At that time, the office concluded that the first flight of the rocket – designated EM-1 – could not take place in the first half of 2020 as had been planned, so the launch date was then moved back to the latter half of the year. October 2018 also saw NASA order Boeing to slow down work on the system’s Exploration Upper Stage (EUS). Originally scheduled to be flown on the second test launch of the SLS, NASA has opted not to fly it until the third flight of the system. Despite the concerns raised by Singer’s comments, the other major elements of the SLS are largely complete, including its two five-segment solid rocket boosters, upper stage and adapters, leading weight to the idea that it is the core stage that is causing problems. In the meantime, structural test articles of the vehicles, liquid hydrogen and liquid oxygen tanks will be tested in the coming months at Marshall, while the core stage is due to be transferred to NASA’s Stennis Space Centre in Mississippi for so-called “green run” testing which will see its four RS-25 engines are fired on a test stand, in late 2019 early 2020, a test that’s seen as a critical test on the road to launch readiness. In my previous Space Sunday report, I noted the Heat Flow and Physical Properties Package, or HP3, carried to Mars on NASA’s InSight lander had been successfully deployed and had started working its way into the Martian subsurface, in order to measure heat escaping from Mars’ interior and give scientists clues about the planet’s composition and history. However, it now appears the “mole” has hit a problem – literally. After burrowing into the Martian soil about 30-35cm, (original estimates were put at 18-50cm), the mechanism struck something, and attempts at progress have left it pitched over at around 15 degrees off vertical. The theory is that the mole has hit subsurface rock – something that had been of concern – or possibly a layer of gravel. Initial tests using the unit’s Earthbound twin at the Jet Propulsion Laboratory suggested that of the rock is smaller enough, or if the layer is gravel, the mole should be able to work its way around or through the obstruction – hence the initial attempts to resume progress. However, a follow-up attempt on Mars met with no success. A major fear is that even if the mole can hammer its way into or through the barrier, the data “noise” created could cause headaches for researchers in eradicating it. Currently, all further operations with the HP3 instrument have now been suspended while engineers brainstorm the situation. It is hoped that InSight’s robot arm will be able to capture images of the HP3 instrument and these, together with other data will help them better assess the situation and determine a course of action. In the meantime, the probe is still able to gather temperature measurements from the surrounding subsurface regolith as its mission intended. When it comes to exoplanets and the search for life elsewhere in our galaxy, reference is often made of the “Goldilocks zone” the region of space around a star where conditions are neither too hot nor too cold to inhibit the potential for life to arise. Now, according to a new study undertaken by a team at NASA’s Goddard Space Flight Centre, there may be “Goldilocks stars” that might offer a better chance for us to discover potentially habitable planets than might be the case with other types of stars where exoplanets have been found. Classified as K-type main sequence stars and also referred to also as K-dwarfs (although many are only a little smaller and a little less massive than our own), these stars live a very long time, between 17 billion and 70 billion years, compared to 10 billion years for the Sun; they are also less extreme in their activity whilst in their youth. The less aggressive nature of K-type stars means that they tend to be a lot more stable than their much smaller cousins, M-class red / brown dwarf stars. While these are the most numerous star type in the galaxy, they are often violent in their early life, so even while many do indeed have planets in orbit, those planets can be subjected to heavy doses of radiation from their parent. That’s not all. Planets in orbit around M-class stars tend to be tidally locked with their parent, always keeping the same face turned towards it. This is liable to give rise to extremes of climate and weather on the planets. 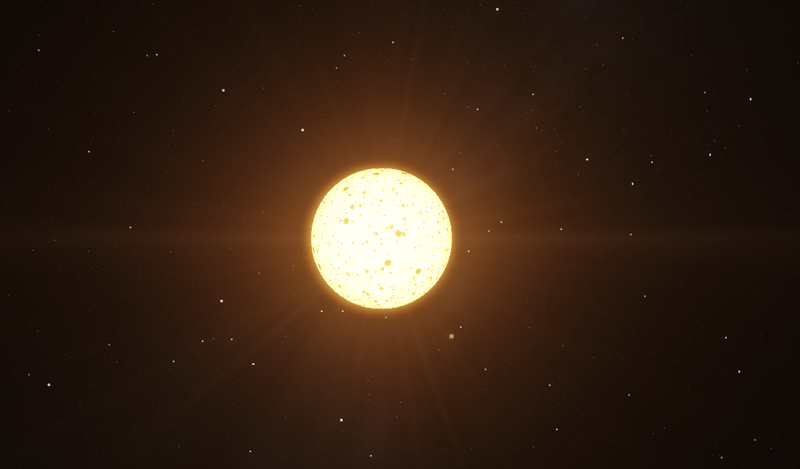 Finally, M-class stars tend to burn very brightly when they are young, so even without their energetic outbursts, they could generate sufficient energy to could boil off surface water on any planets that might form within their habitable zones. Thus, planets orbiting K-type stars potentially have a more benign environment for life than M-class. Further, the nature of K-type stars means we are more likely to identify potential evidence of life on any planets orbiting them. When you put the planet around a K star, the oxygen does not destroy the methane as rapidly, so more of it can build up in the atmosphere. This is because the K star’s ultraviolet light does not generate highly reactive oxygen gases that destroy methane as readily as a Sun-like star. As K-type stars are dimmer than main sequence stars like the Sun, it is also potentially easier to locate planets orbiting them. Thus, the study puts forward a compelling case for studying them at length for signs of planets orbiting them, and the potential for locating possible biosignatures in the atmospheres of those planets. The study even suggest targets for further study, including 61 Cygni A/B, Epsilon Indi, and Groombridge 1618.